Ghati Subramanya kannada is an ancient Hindu temple, situated on the outskirts of Bangalore near Tubagere, Doddaballapura. It is 60 km from the city and is a popular pilgrimage centre. Timings: 7.30 AM – 8 PM on all days. According to legend, Ghati is the place where Lord Subramanya performed penance in the guise of a serpent inside the caves in the mountain ranges of this area before going to kill the demon Tharakasura. Ghati is also the place where Lord Subramanya invoked protection from Lord Lakshmi Narasimha for the serpentine clan from Garuda’s scare. 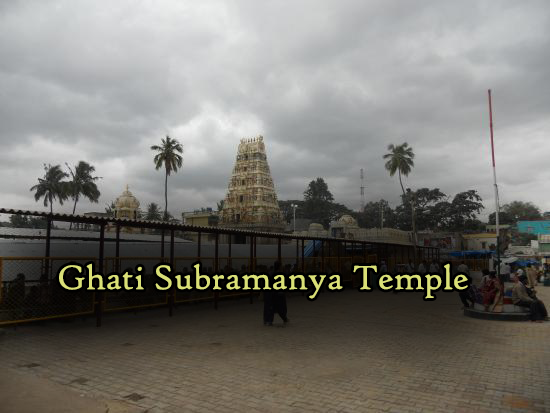 Ghati Subramanya has a recorded history of more than 600 years. 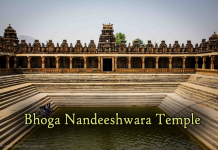 It is an ancient temple built in Dravidian tradition. The temple is particularly special for those who seek the Lord to bless them with a child. It is also an important centre in South India for snake worship. An interesting ritual here is of installing idols of snakes. One can see thousands of these near the temple. 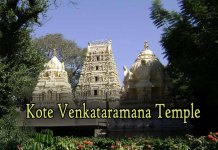 People flock here in thousands and Sri Subramanya is particularly popular with the Tamil population of Karnataka. The Pushya Suddha Shasti is one of the biggest festivals in this temple as this day is believed to be the birthday of Lord Subramanya. The other major festival in the temple is Narasimha Jayanthi. Skanda Shasti, Panghuni Uttiram, the wedding anniversary of the Lord and Vaikashi Vishakam are also celebrated here with a lot of fanfare Free lunch is provided daily for the devotees.